This is the perfect kit for somebody who would like to try the full system, or for somebody who knows the system already and was waiting on a deal like this! 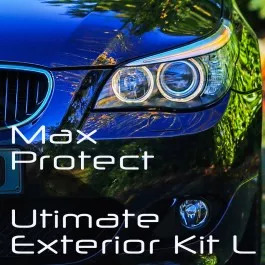 * This kit will be enough to fully seal the paitwork (1 layer of UNC v1 + 1 layer of UNC v2 + 1 layer of Silk Coat), protect alloy wheels, plastic trim and prepare all of the glass, inc mirrors and even after doing all of this you normally should have a fair amount of product left. You could do multiple layers of UNCv1 on the alloys, or the exhaust, for example. Or store it for later use. We recommend to use it within 12 months after opening the bottles. Use WSR to treat glass before UGC Application.